Great shot. I still cannot decide if it matters what lens you use or how close you are with Street Photography. Many of the purists will say you have to be in their face for it to be a true street shot, for me it is the final image that matters, not how it was recorded. But then i’m not a purist 8-). I’m undecided about lens/closeness too. As I can’t afford anymore lenses it’s doesn’t really matter! 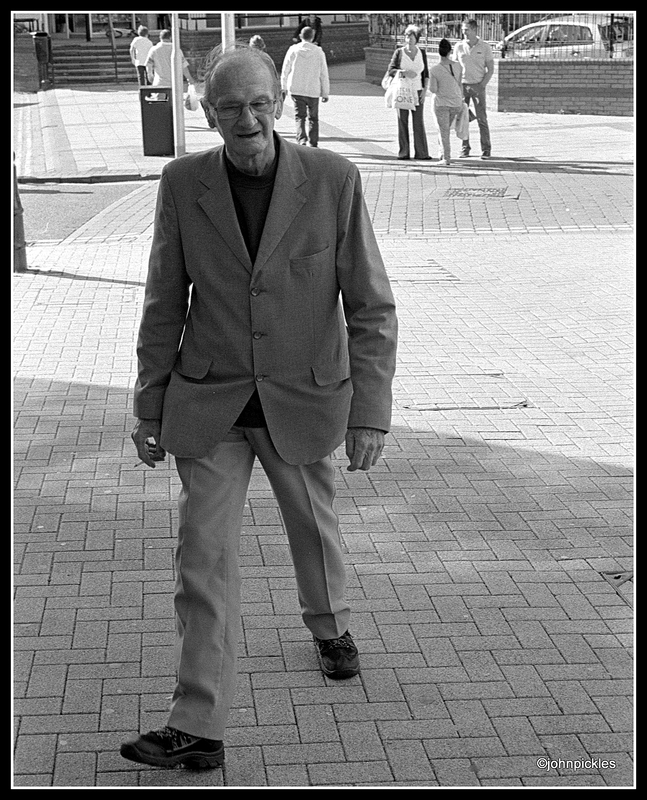 I like the work of Gilden, Meyerowitz and Winogrand but in truth I prefer Cartier Bresson and Bill Brandt – They’re more ‘classy’ or ‘Arty’ or something…(something I’m still searching for at any rate). As for shooting people – if you get a feel for their personality from the shot then I think you’re on the right track. thanks for commenting again.